I’m not sure what prompted it, but I decided recently to complete my collection of The Journal of the Travellers’ Aid Society, the in-house magazine for the Traveller role-playing game. Back in the 1980s, I’d subscribed to the magazine from issue seven until its demise with issue twenty-four. But in 1986 I’d lent my copies to a friend… and never saw them again. I’d picked up a few replacements here and there, but it had always annoyed me I’d never fully replaced what I’d lost. I decided I’d better catalogue all my Traveller-related books, so I wouldn’t go buying duplicates. Again. And as I did that, I was reminded how I’d got into role-playing games. I was first introduced to rpgs in my first year at college – that’s a UK public school, not a US university, so I’d have been thirteen – when a friend showed me this new game he had: Dungeons & Dragons. It was definitely in my first year there, because he showed the game to me in a classroom next to the junior common room; in the second year, four of us Removes in the house were given a study – a singular honour as only fifth formers and above had studies – and he’d have shown me his D&D in my study had it been that year. Anyway, my friend Andrew de Salis showed me this boxed set of rulebooks he had bought, or received as a present, Basic D&D, the one with the all-blue artwork. I’ve a feeling this happened during the winter term, and it was that Christmas – ie, 1979 – I asked for and received the basic Traveller box set as a present. 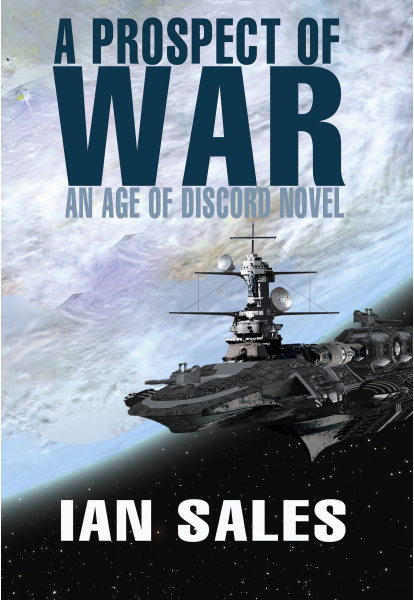 The following year, I received books 4 and 5, Mercenary and High Guard, as Christmas presents. On the other hand, I might have received the set and the two supplements all at once at Christmas 1980 (High Guard wasn’t published until 1980); but I don’t think so. Wednesday afternoons at college were given over to “ASH” – Activities, Societies, Hobbies – and not being a sporty type, I’d joined the chess society. But having discovered role-playing games, de Salis and I decided to resurrect the games society. We were given a room near the kitchens. 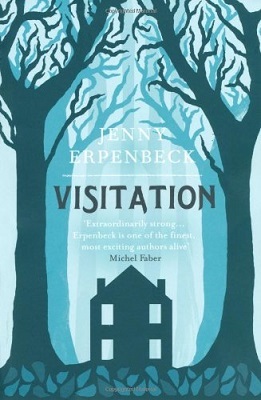 I’ve no idea what the room was originally used for – it was pretty grim, it was tiled and the tiles had been crudely painted over with red paint, it looked out over the courtyard which held the kitchen bins, and it was unheated. There was an old cupboard filled with games from the society’s former incarnation, including a couple of wargames. We were also given a small budget. We never managed to attract more than half a dozen members, and, often as not, we’d be in that room on weekends too, playing games. I remember running a Traveller campaign, mostly written by myself. We also played AD&D, Tunnels & Trolls, RuneQuest, Champions, Star Frontiers, Call of Cthulhu; wargames like Godsfire, Dune, Third Reich, Squad Leader; and boardgames such as Risk and Diplomacy. Oh, and football. We set a chair at either end of the room as goals, and used a small plastic head from some incomplete game we found in the cupboard. It got quite brutal, especially as most people wore cowboy boots at the time, and bruised shins were pretty common. It was around this time I started subscribing to The Journal of the Travellers’ Aid Society, as mentioned earlier. 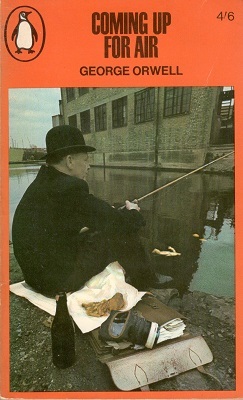 Issue seven was published in the latter half of 1980. I think it was in the Lower VI that de Salis and I decided to try for one of the school’s prizes by publishing a role-playing games fanzine. As far as I remember, the prize only required some project associated with a hobby, invigilated by an outside examiner. We called our fanzine TINNYORO Fanzine (This Is Not Necessarily Your Ordinary Rip-Off Fanzine; it seemed funny in 1983) and sent a copy to White Dwarf for review. I don’t remember if we won the prize. 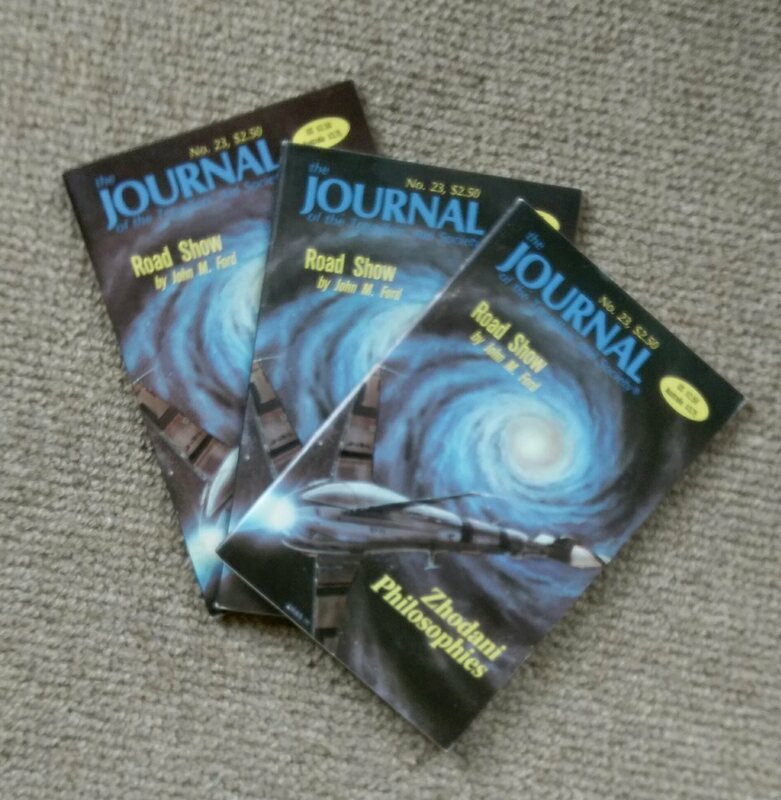 I seem to recall we won some money, chiefly because the White Dwarf reviewer had been kinder than he should have been (the review was not published in the magazine, but sent to us privately, since we’d explained it was a for a school prize). The contents of TINNYORO Fanzine were… mostly rubbish. The artwork, done entirely by myself, was worse. I’m still a little proud of the title of my expanded combat rules for Traveller, “Hit 2 Hurt”. I think we sold about a dozen copies of the zine via mail order. We never produced a second issue. I left school and spent a year at a college in Nottingham re-taking my A levels. I bought Traveller products from Games Workshop. I scraped good enough grades to get me into Coventry Polytechnic, studying Information Systems Engineering. I joined the poly’s role-playing games society, and once a week we’d spend an evening in a classroom playing a variety of rpgs. I don’t actually remember what we played, although I suspect I had a go at running a self-penned Traveller campaign. (It was a waste of time running the published adventures, as players had usually read them.) At the end of the year, I screwed up my exams and decided to return home and spend a few years working, so I could qualify as an independent student. My Local Education Authority had decided they didn’t need to pay my fees, never mind a grant, because my parents lived abroad – even though my parents owned a house in the UK, paid rates, and lived in the house every summer. I joined a local gaming group, which met every Sunday in a community centre in Ravenshead. I ran a Traveller campaign, and I remember playing in both a Pendragon and a RuneQuest campaign. One Sunday, two blokes turned up and told us they’d approached the parish council, who owned the community centre, concerned about our “spiritual wellbeing”. Since we played Dungeons & Dragons, we were obviously no different to practicing Satanists. Or maybe not. On the day in question, half of us were playing a WWI dogfighting wargame, with small model aircraft on sticks, which we were moving about on a ping pong table. The concerned parishioners had turned up expecting to find a group of teenagers summoning demons, not a group of twentysomethings – the average age of the group was 25 – playing with tiddly little aeroplanes on sticks. They still got the club banned from using the centre, however. I started at Coventry Polytechnic, soon to be Coventry University, a couple of months later – this time as an independent student, on a full grant – and later heard the club had pretty much disbanded. 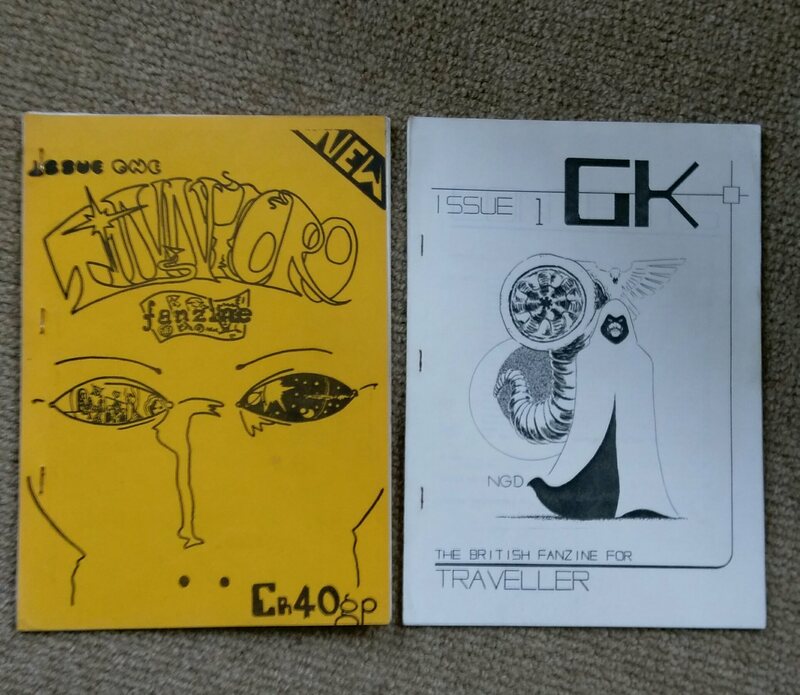 During those years back home working for a living, I had two goes at publishing my own Traveller fanzine. 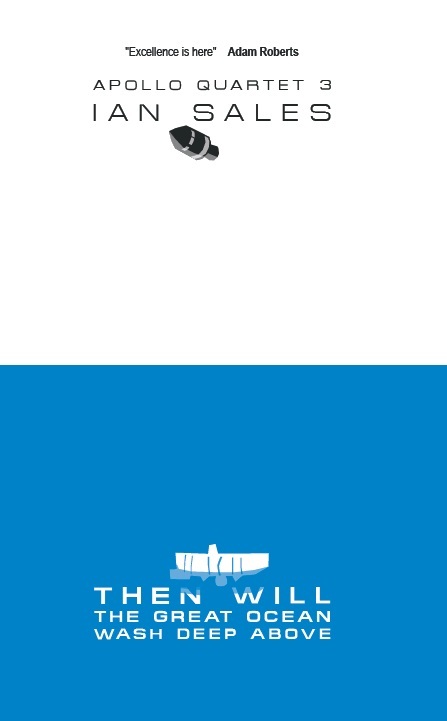 The first was titled Imperial Flight (see below), and I produced a full mock-up, with artwork by someone I’d met during my one year at Coventry Polytechnic, Nigel Dobbs. We lost touch soon after, but I believe he went on to illustrate for 2000 AD. I may have the name slightly wrong. 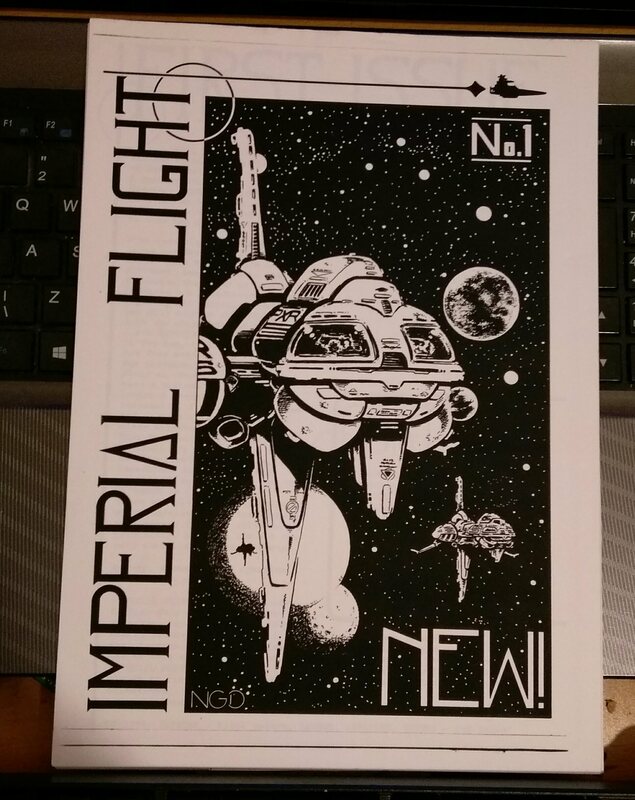 I still have the contents for Imperial Flight #1. It includes a terrible spoof story I’d written set in the Traveller universe about a bunch of incompetents called The Zee-Team. I seem to remember writing a second instalment, but I’ve no idea what happened to it. This is probably a good thing. Imperial Flight #1 never saw the light of day, and I cannibalised its contents a year or so later for another Traveller fanzine, Signal GK (see above, next to TINNYORO Fanzine). Which was also never published. But at least it didn’t include The Zee-Team. The name Signal GK, the title of an official adventure published by GDW, of course, was later used by another Traveller magazine, but hyphenated as Signal-GK, based in Hebden Bridge, which published thirteen issues between 1991 and 1995. In 1987, Traveller morphed into MegaTraveller, a redesign of the game driven by DGP, a Traveller licensee who had published the three supplements mentioned earlier, and also published their own Traveller magazine, The Travellers’ Digest. This was originally the same size as GDW’s Journal of the Travellers’ Aid Society, but from issue 9 onward was produced at normal magazine size. I began buying it from issue 9. After twenty-one issues, it became The MegaTraveller Journal, which only lasted for four issues. The Journal of the Travellers’ Aid Society also ceased around this time, and GDW instead published a normal-sized magazine called Challenge. It continued the numbering scheme from the Journal, and was initially Traveller-only, but soon branched out to feature other GDW games, and rpgs by other companies. While at university, I’d been buying my Traveller products by mail from a gaming shop in north London – I forget its name – and by this point, they were sending me notices when anything new came out. So I bought each MegaTraveller supplement, and each issue of Challenge, pretty much as it was published. MegaTraveller became Traveller: The New Era in 1993, and though I didn’t like the new direction I continued to buy the rulebooks and supplements and adventures. GDW closed its doors in 1996, deciding to bow out before it went bust. They’d had problems after taking on Gary Gygax and publishing his Dangerous Journeys rpg, a move that had brought them into conflict with TSR. Collectable Card Games, particularly Magic: The Gathering, had also hit the rpg industry hard. And, of course, Traveller: The New Era had been unpopular with fans. During my university years, I’d become involved with the History of the Imperium Working Group, HIWG, a transatlantic group of Traveller fans who were keen to produce more material for the game. Although they had a newsletter, Tiffany Star, produced by one of the US members, I don’t believe they actually published anything. Some of the members were associated with the aforementioned Signal-GK. I remember spending a weekend in Hebden Bridge with some of them, but I felt like a bit of a fraud as they were all far more into the game than I was. Around nine months after graduating from Coventry University, unable to find a job in the UK, I moved to the UAE to start work at the Higher Colleges of Technology in Abu Dhabi. I left HIWG and soon lost touch with its members. I also stopped buying Traveller: The New Era products, as it was too expensive to ship them out to the Middle East. I didn’t consider it much of a loss. 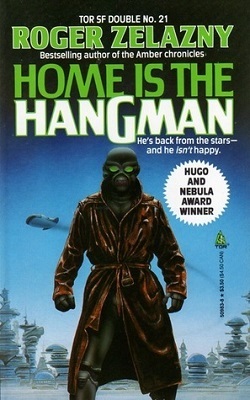 In the early 1990s, I’d drifted into science fiction fandom, had attended several conventions, published my own fanzine, reviewed books for genre fanzines and small press magazines, and even co-edited a small press genre magazine. I also had ambitions of writing short stories, and saw a couple of them published. 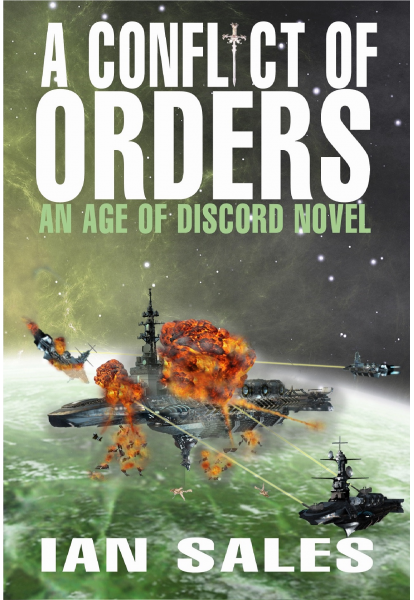 I wrote a science fiction novel, Bound by Blood, in 1993, and submitted it to Tor. I never heard back from them. It wasn’t very good. 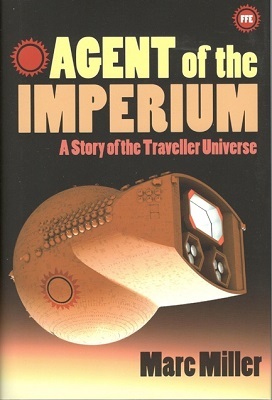 After the collapse of GDW in 1996, the Traveller licence reverted to the game’s creator, Marc Miller, and, under the name Imperium Games, Miller published a fourth edition of Traveller. 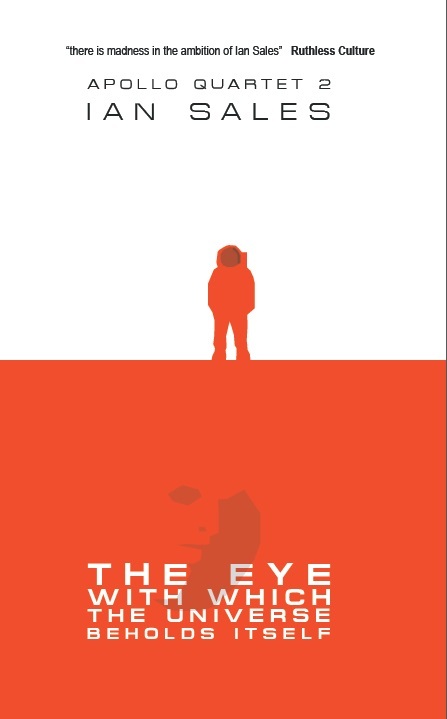 The books looked very handsome – they all had Chris Foss cover art – but they were rushed and full of typos. And not very good. I only learnt of the game when I returned to the UK in 2002. By this point, there were several different licensed versions of Traveller knocking about. Miller had always been relaxed about licensing, and classic Traveller had been supported by supplements and adventures from a raft of companies, such as DGP, Paranoia Press, Seeker Gaming Systems, Cargonaut Press, FASA, Judges Guild, Gamelords, Group One… Some of these I had bought at the time, mostly those published under licence in the UK by Games Workshop. But those companies had supported GDW’s game; now there were different versions of the game. Traveller 20 was based on a rule system which used only D20s. 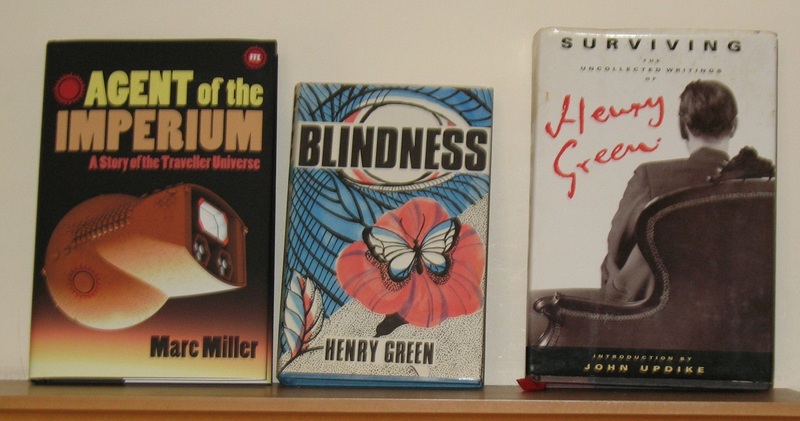 Miller himself was busy developing a fifth edition of Traveller, initially published only on CD-ROM, then in a ring binder, and finally in a massive hardback book. (I saw a copy of this last recently on eBay for £399.99.) There is a set of starship deck plans, but no adventures or supplements have to date been published for Traveller5. 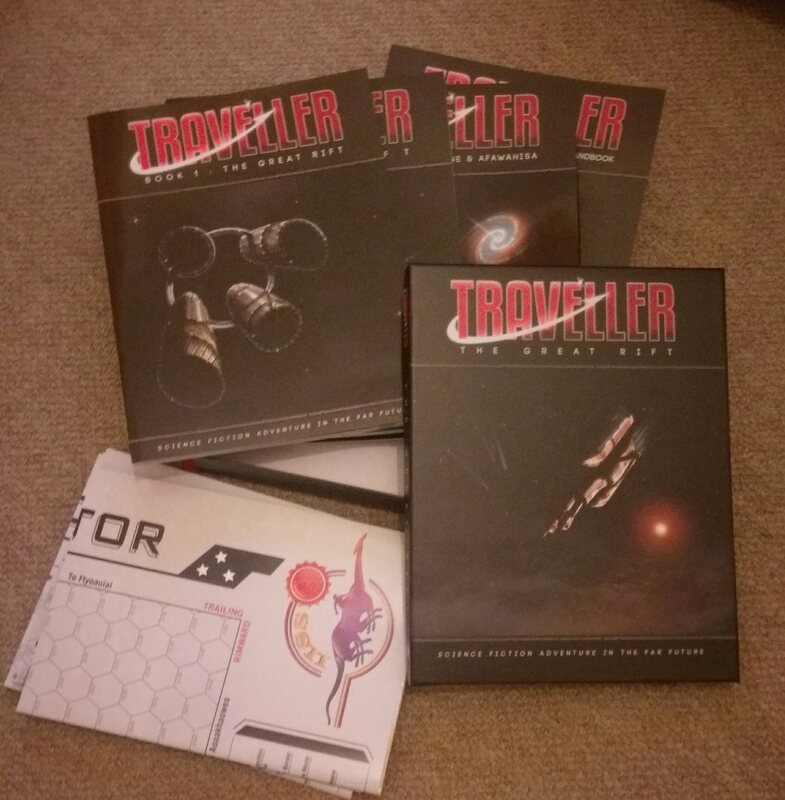 A British company, Mongoose, created their own version of Traveller, based on a different rules system. 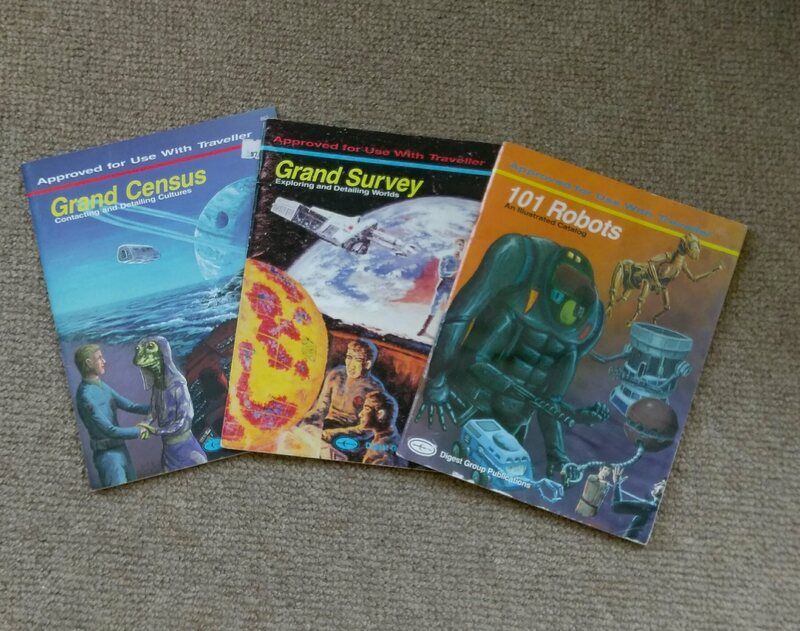 They published a series of rulebooks, similar in design to GDW’s original Traveller, plus a range of adventures and supplements under the title The Third Imperium. 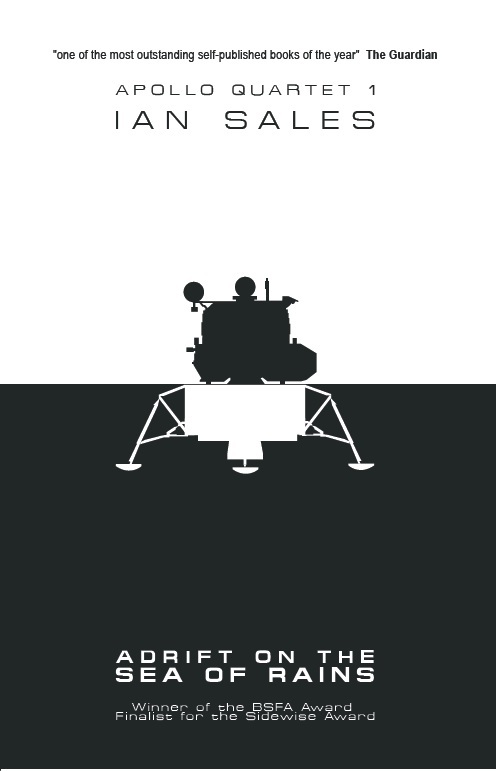 In 2016, Mongoose published a second edition of their version of Traveller. Which is where I sort of came back into the game. Mongoose ran a couple of Kickstarter campaigns for new Traveller material, and I stumbled across mention of one. It was a box set titled The Great Rift, and it looked like it would be a quality piece of work. They wanted £10,000. They received £113,782 in pledges! The average pledge must have been about £100. It is indeed a very impressive box set. Mongoose followed up with another Kickstarter, the Element Class Cruiser box set, which managed £43,749 of a £10,000 target… It’s due some time this month or next. Some time during all this, there was an attempt to create a setting in the Traveller universe a couple of centuries after the published setting, called Traveller 1248. I’ve seen copies of the two sourcebooks published for on eBay for £79.95. Fortunately, I bought my copies when they were published, for the much more affordable price of £15 each. 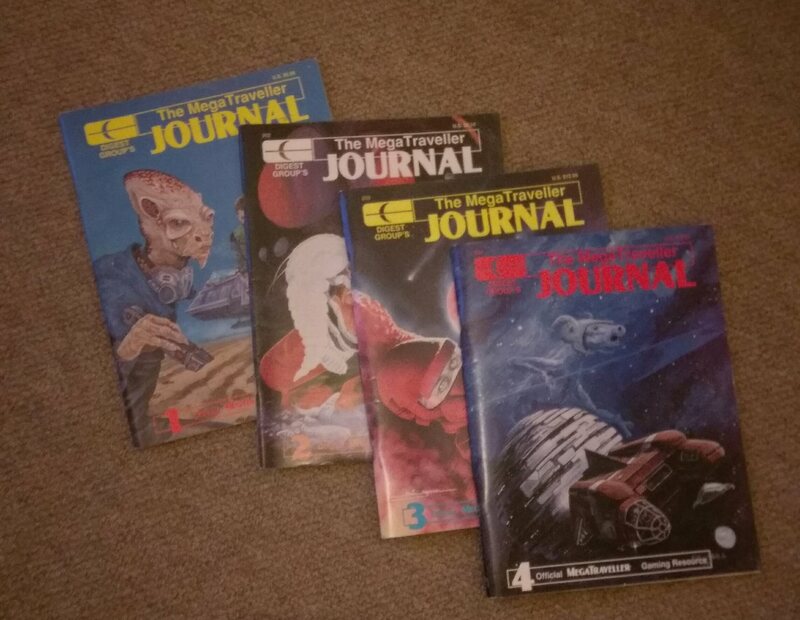 There are still gaps in my Traveller collection – the classic version, that is; I’m not overly bothered about the post-GDW versions of the game – and my collection of Traveller-related magazines. Early issues of The Journal of the Travellers’ Aid Society and The Travellers’ Digest are extremely rare and correspondingly expensive. 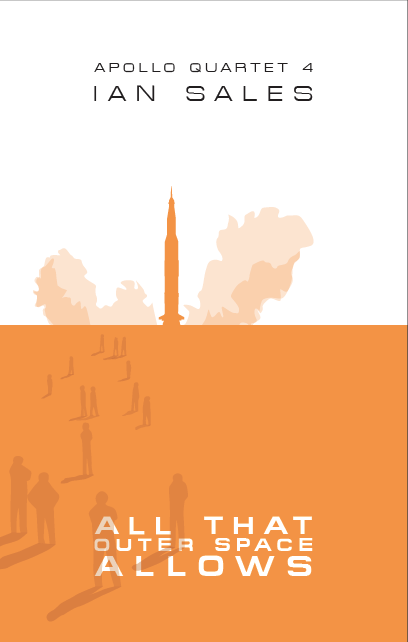 It’s unlikely I’ll ever manage a full run of either magazine. 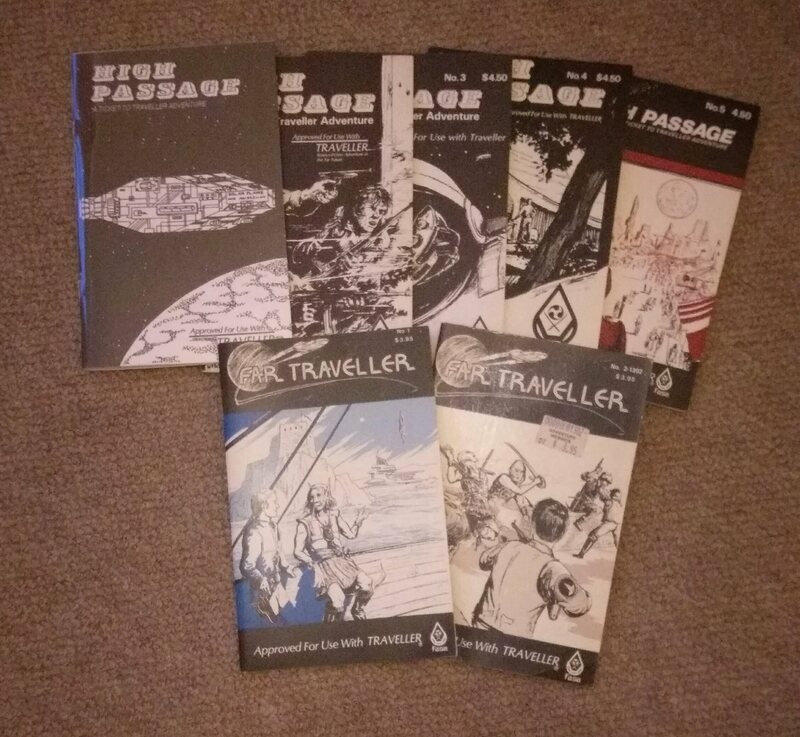 My copies of High Passage’s five issues, and both issues of Far Traveller, Traveller magazines published by a licensee called FASA, some I bought back in the 1980s and the rest more than a decade ago. 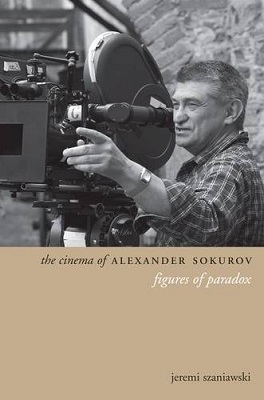 Which is fortunate as copies now vary from $20 to $60 each. The game was also supported during the 1980s by a number of fanzines. I have all eight issues of a UK-based one, Alien Star. I even contributed to one of the early issues. And back in 1984, myself and de Salis travelled to London to attend a Games Day, and met up with one of Alien Star’s editors. But most of the fanzines were, of course, from the US, and hard to source at the time – and there was no easy way to pay overseas sellers back then. I’ve picked up a few issues here and there during the past decade or so, but fanzines are harder to find than official supplements by licensed games companies. And, to be honest, their contents were never up to much… although probably better than the contents of the two Traveller zines I put together, and almost certainly better than the contents of TINNYORO Fanzine. Categories: role-playing games, traveller | Tags: dgp, gdw, marc miller, megatraveller, traveller, traveller the new era | Permalink.